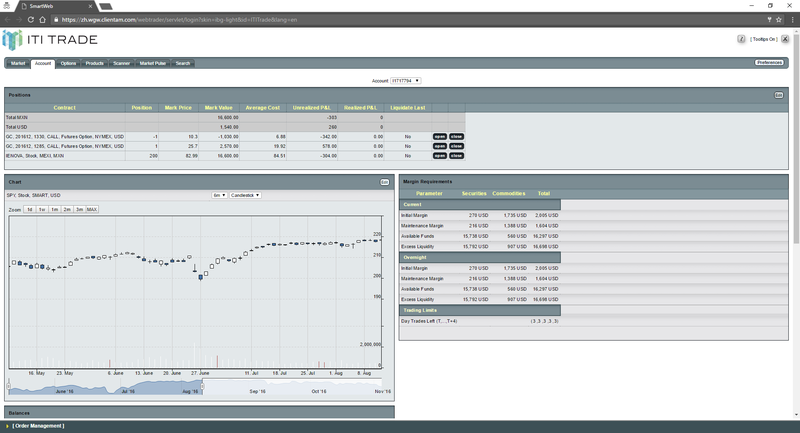 Internally developed trading terminal SmartХ is intended to be used for trading on the Russian markets. SmartX implements all standards of terminals creation for easy trading, and provides opportunities for different categories of customers. Single Account, which includes several marketplaces. The assets placed on a single trading platform, can be used as collateral for trading on other markets. High processing power - the number of transactions processed per unit time is much higher than the existing analogues. 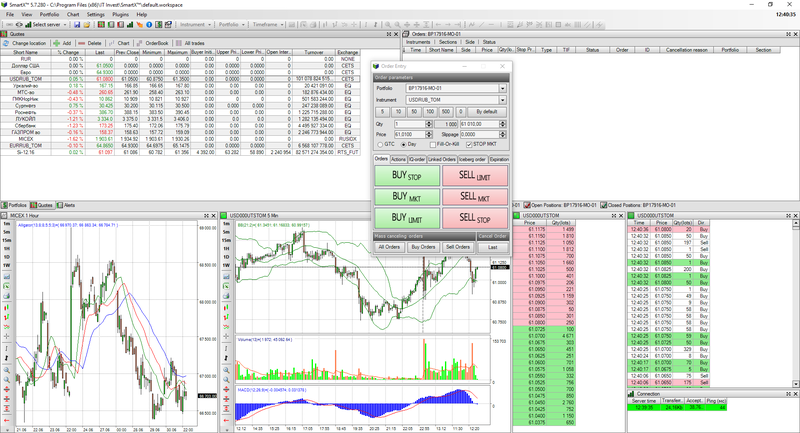 All the functionality for trading including smart orders, indicators on charts, etc. SmartLight is HTML-based trading platform providing direct access to global markets. It is the perfect solution if you prefer an uncluttered trading interface that's easy to learn but still want to use advanced trading features and tools.